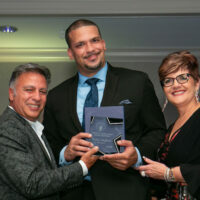 The 2015 ADCC Annual Meeting & Gala featured the first ADCC Industry Excellence Awards, recognizing outstanding work by dance competition staff members from across the country in all dance competition industry fields. We celebrate the outstanding work of our Industry Excellence recipients each year at the ADCC Annual Meeting & Industry Awards Gala. The distinguished Lifetime Achievement Award is also presented at the ADCC Annual Meeting & Industry Awards Gala, to a person who has made a significant lifelong contribution to the dance competition industry. The 2018 Lifetime Achievement honoree was world-renowned judge and dance teacher, the late William E Fowler, Jr. The 2017 Lifetime Achievement award went to nationally-recognized tap dancer and teacher Debbi Dee. The 2016 winner was Jo Rowan, chair of the Dance Department at the Ann Lacy School of American Dance and Entertainment at Oklahoma City University, and 2015 honorees were Art and Nancy Stone. Studio of Excellence Awards are awarded by ADCC Members to recognize a studio of their choice at each of their regional and national competitions that exemplifies the mission and purpose of The ADCC: working together in the pursuit of excellence. SOE winners receive a plaque or bannner, a window decal, and are listed on the ADCC website and in our newsletter, and in the ADCC nationwide magazine, The Competitive Advantage. The ADCC Dance Dreams Award is an invitation-only opportunity for outstanding competition dancers ages 10-18 to take part in Dance Dreams Powered by Gerber Tours, a week-long immersive dance experience in New York City. It’s a partnership with Gerber Tours, a worldwide leader in educational and performance travel. The partnership supports The ADCC College Scholarship Program. Each September the Membership is invited to spend 3 days networking, learning, sharing, and celebrating accomplishments at The ADCC Annual Meeting & Industry Awards Gala. The Competitive Advantage is the new ADCC magazine, launched in 2016, featuring ADCC and dance industry news and features, including dance competition tips and tools, plus full upcoming season calendars from ADCC Member competitions, and much more. The ADCC has offered College Scholarships since 2014, and will announce the latest round of Scholarship recipients in the fall of 2018. 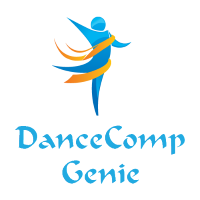 In 2019, the focus of the program will change to emphasize emergency funding to dance studios around the country. Watch this space for more details as the program is refined.